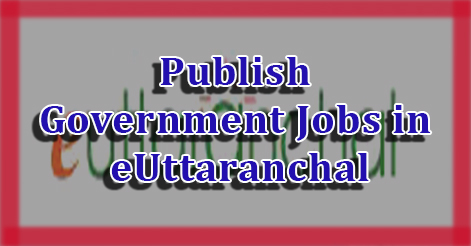 eUttaranchal.com invites all Govt Departments of Uttarakhand to publish latest Jobs, News, Updates, Results or Announcements free of cost. Get quick response from candidates who are searching for Govt Jobs in Uttarakhand. Govt jobs section of eUttaranchal is one the most popular website for searching latest jobs in Uttarakhand. Many Govt Departments, Schools, Colleges and Universities regularly send us the updates to get published. Publishing updates in eUttaranchal Govt Job Network is FREE! We will publish your jobs and other information on our site without any charges. How do I add details of jobs to eUttaranchal? Kindly send the details from your Official Email ID only at brijmohan@euttaranchal.com. i wont to job in government. i m complete BCA. but i have one k.t. in 5th sem.. but..i m apply to solve that.so if vacancy in there.. plz.. contact me. i have experience in LIC in 4 year. and home loan finance consultancy 1 year… both are continue at a time. My intrast this job.the job look my bright career. My interest this job.and my career so bright. And teaching good opsion for me.I am so lucky for got this job. MY NAME IS SAURABH KUMAR JOSHI.I LIVE IN ROHINI IN DELHI. MY BORN IS HIMANCHAL PRADESH. DOB- 10/06/86. MY PARMANENT ADDRESS-PAURI GARHWAL. I HAVE 10 PASS. MY CONTACT 9999082481. 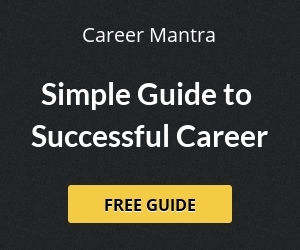 ANY JOBS EXAMPLE- GAURD,FOREST (ETC). THANK YOU. Rohit s/o shri basdev giri. thank yo uh so much. I am 12th passed plz send me information about goverment job about intermediate level. i am a B.tech (ELECTRONICS AND COMMUNICATION ENGINNER) I want a job my education related and all gradution related type urgent. I am mca graduate,If there is any govt post vacancy related computer science please contact me through my email address,I urgently need govt job.I am having 10 years of private sector working experience. Just wanted to ask how could we publish or open job post on your website. i am 12th pass and i have computer diploma.